Snow, sleet, and ice are presenting a myriad of problems for drivers, especially during this harsh winter in West Virginia. Driving has been hazardous around Morgantown and Westover, especially this year. 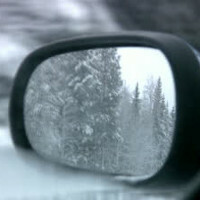 Nationally, 1.5 million collisions a year are caused by weather conditions affecting visibility and the road conditions. lost control while heading south on I-79, causing the vehicle to fall off an overpass and land on U.S. 19 (Fairmont Road). The car accident occurred at about 10:30 p.m. on Monday, February 17th. Three young men in their 20’s were in the vehicle at the time of the accident. All three were taken to Ruby Memorial Hospital, where one victim, a Shinnston man who had been a passenger in the back seat, died as a result of his injuries. Another victim remains in critical, but stable condition. Police reported that the third victim was up and walking around after the crash but was taken to the hospital as a precaution. Thankfully, there was no one traveling on Highway 19 at the time of the vehicle falling over the overpass onto the road below, so no other vehicles were involved and no one but the occupants of the Mazda were killed or injured. Our hearts go out to the occupants of this vehicle and their families. Nothing is as tragic as an unexpected death or severe injury which changes families’ lives forever. Investigators will be evaluating questions such as: “How fast they were going? What kind of barrier was there? Was the vehicle properly prepared for the conditions? Was the driver impaired at all? Could the Westover Dept. of Roadways prevented the buildup given the conditions? How could the death of this one man have been prevented?” Sometimes there is nothing a driver can do to prevent a collision, but winter is almost over — please drive carefully and use extra time and extra caution. Anytime there is an accident, insurance problems can arise. If you have questions about insurance claims due to the winter driving conditions, give us a call. We can help. The Robinette Legal Group: 304-594-1800 or after hours, 304-216-6695. Source: The Dominion Post, “1 Dead in Westover Crash” by Conor Griffith and Jim Bissett, February 19, 2014.